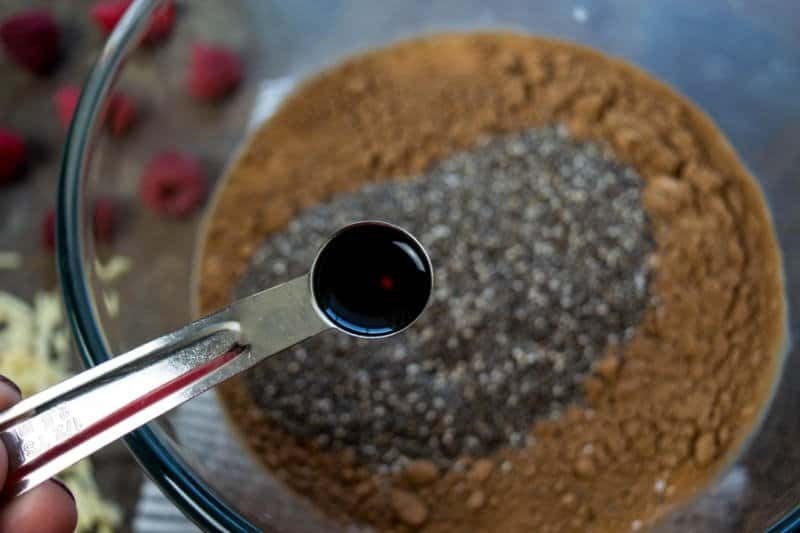 I am so excited to share this Keto Chocolate Pudding with Chia Seeds with you today! 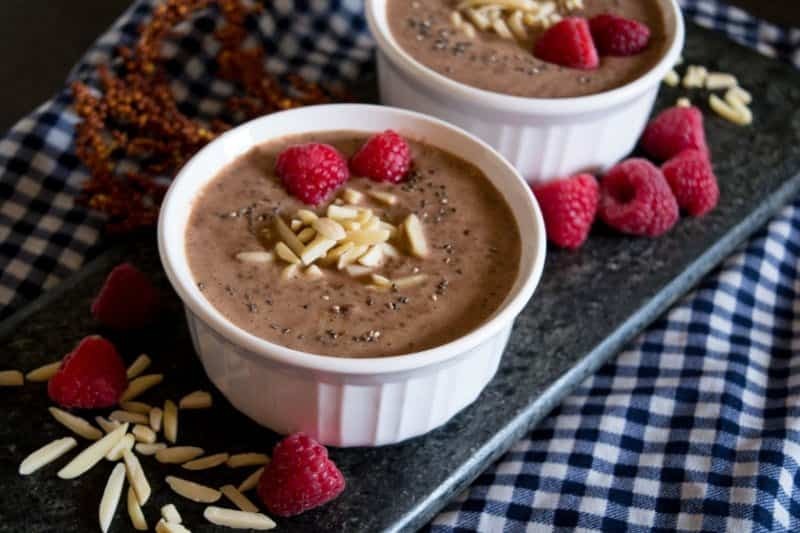 If you are looking for a sweet treat without the loaded carbs, you are going to love this keto chocolate pudding treat! 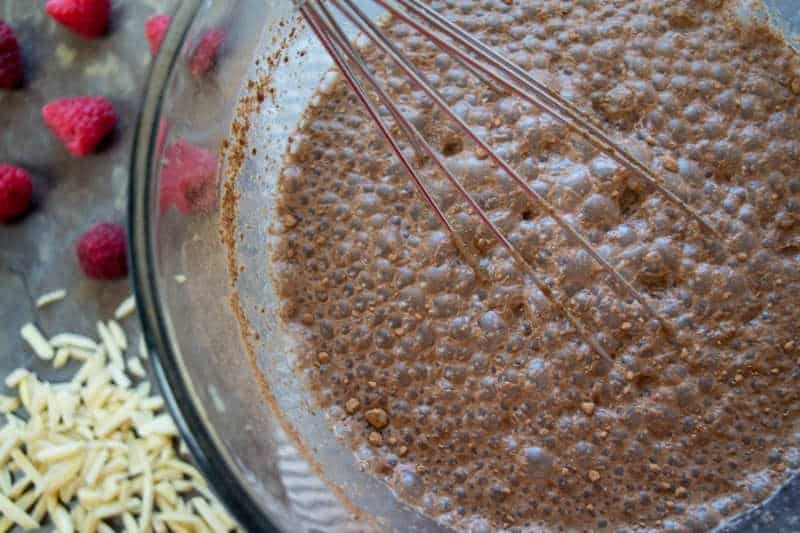 Sometimes I need a little chocolate in my life and this low carb chocolate pudding is just the perfect snack. You are going to love it too! 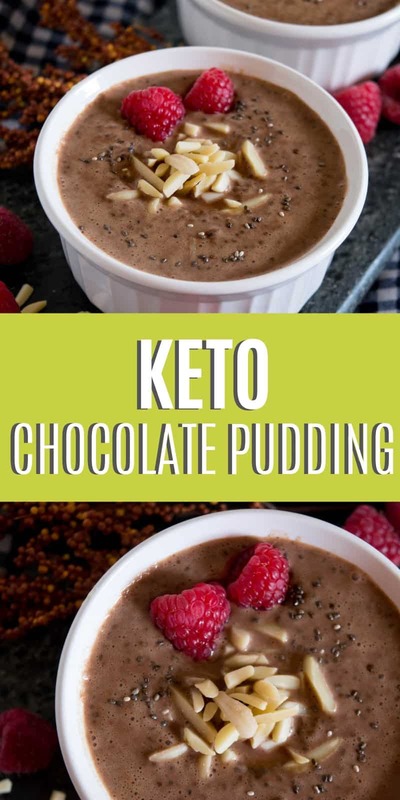 Be sure to print this keto chocolate pudding recipe and add it to your keto recipe book! 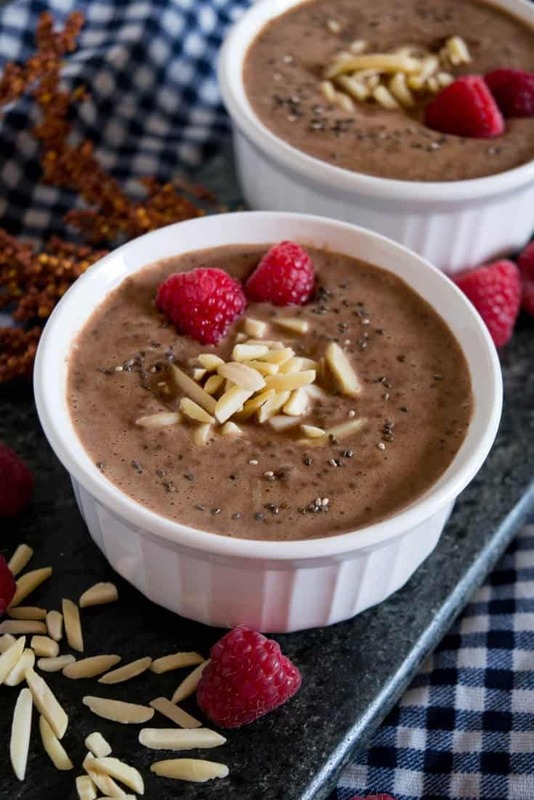 If you are looking for a sweet treat without the loaded carbs, you are going to love this keto chocolate pudding with chia seeds! 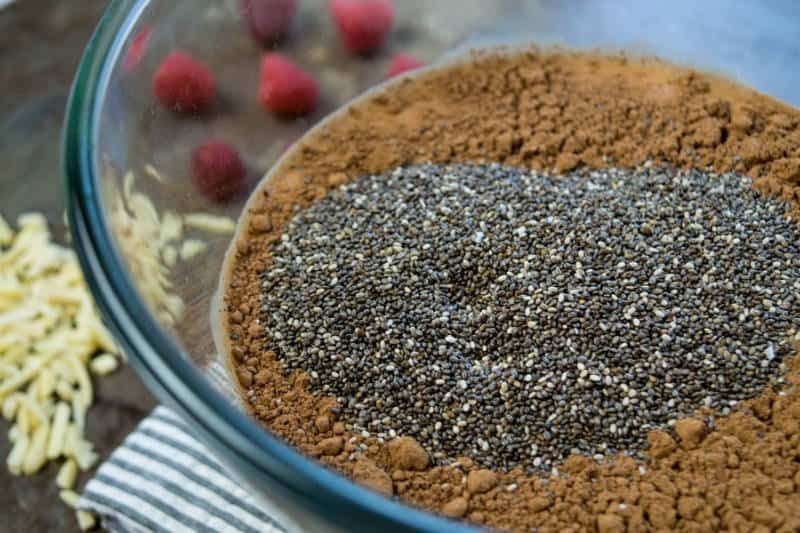 In a large bowl add in almond milk, cocoa powder, chia seeds, vanilla extract, and stevia. Cover and refrigerate overnight for best results. 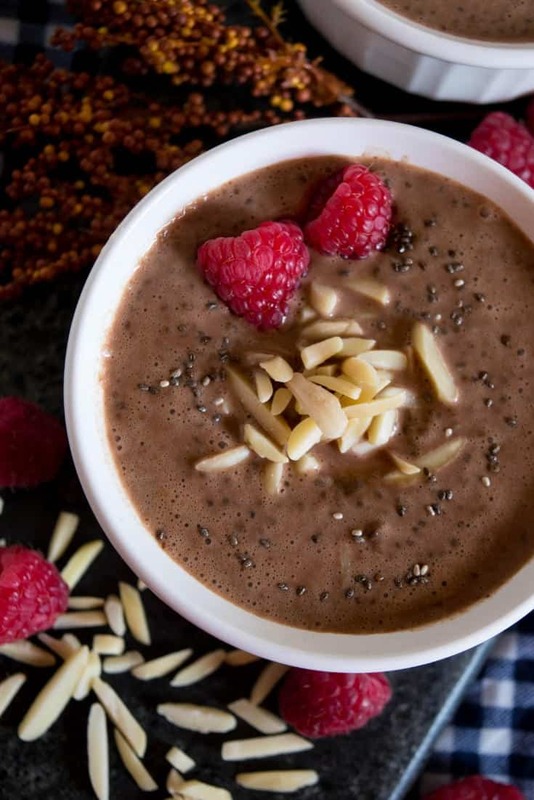 Top with almonds and raspberries. 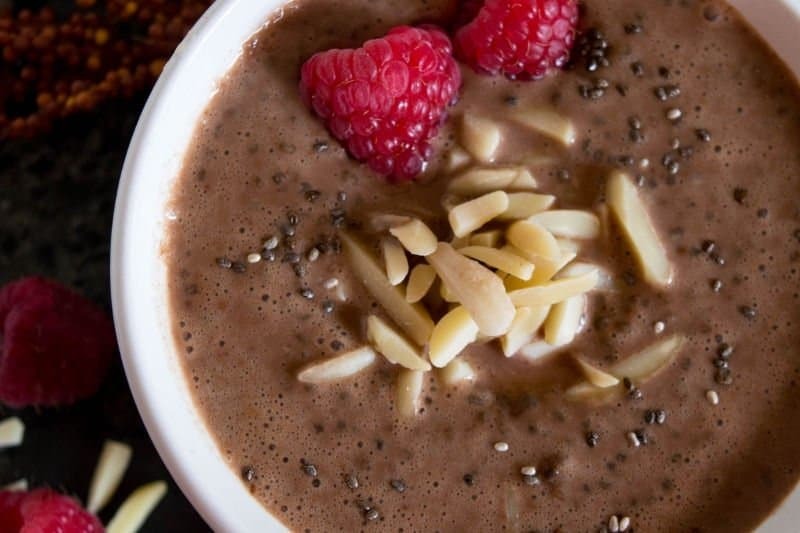 In a large bowl add in almond milk, cocoa powder, chia seeds, vanilla extract and stevia.